Set of 3 small sachets filled with dried French lavender. 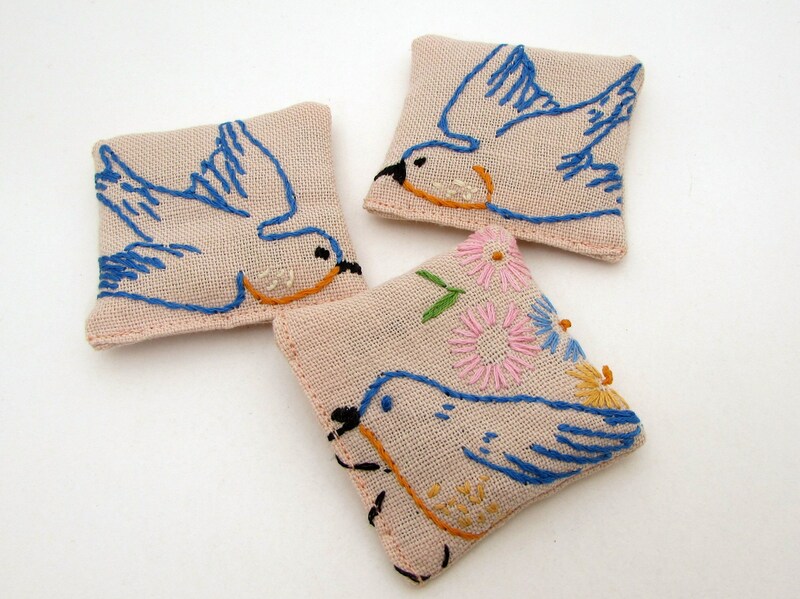 These sachets feature beautiful vintage embroidery of blue birds on a pink fabric. You will receive the 3 sachets pictured here. These are individually packaged in cello bags, perfect for gift-giving, party favors, or stocking stuffers!